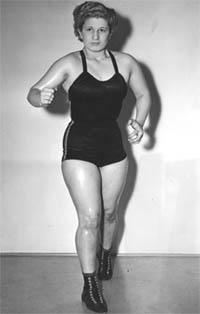 Gladys Gillem Wall (January 6, 1920 " August 12, 2009), also known as Gladys "Killem" Gillem or Gladys "Kill 'Em" Gillem, was an American professional wrestler. This webpage uses material from the Wikipedia article "Gladys_Gillem" and is licensed under the GNU Free Documentation License. Reality TV World is not responsible for any errors or omissions the Wikipedia article may contain.